Two days from now, on April 2, the world will recognize for the second time World Autism Awareness Day. 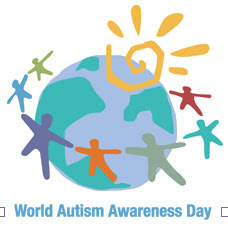 WAAD is the result of an outstanding initiative led by Autism Speaks and the State of Qatar. As the father of a 13 year old boy with autistic disorder, assessed with profound developmental delays I thank both Qatar and Autism Speaks for this monumental step forward in facing the challenges of autism spectrum disorders around the globe. Everyone with an autism spectrum disorder (Pervasive Developmental Disorder) by definition has serious deficits or challenges to face. For each such person their challenges are undoubtedly large and complex realities of their daily lives. There are different degrees or severity of autism disorders though and this is implicitly recognized in the DSM which in the definition section of Asperger's Disorder expressly excludes persons with clinically significant delays in language, cognitive development or age appropriate self-help skills. (Some of the very intelliglent, highly articulate leaders of the "autism" advocacy movements are in fact persons with Asperger's Disorder such as Ari Ne'eman and Alex Plank). The invisible autistic persons live in institutional settings because of the severity of their autism disorders. Some are violent towards themselves or others. Some lack the skills to function at all in the world without assistance. Simply closing such places is not an answer even if it makes the public feel better. For many, without institutional care they would have no where to live, no means of survival. For me such severely autistic persons are not invisible or forgotten. Unlike some of the dilettante, mainstream health "journalists" I have visited institutional facilities providing lifelong residential care and treatment to severely autistic persons. My son could well end up residing in such a facility after I am dead. On World Autism Awareness Day I will think of all persons with autism disorders including my friends with Asperger's Disorder. And I will think of and remember the invisible and largely forgotten persons with severe autistic disorder. I will not ignore or forget them. I respectfully ask you to do the same. It is my hope that World Autism Awareness Day continues in perpetuity and that long after I am dead people will be thinking of all persons with autism disorders, including the severely autistic, including my son, Conor Doherty. HBOT Treatment for Autism? Avoid the Autism Hub, Read "Translating Autism"
Anyone reading blog commentaries about the latest HBOT study, or any other autism treatment study, should seek credible analysis from detached, professional sources if they want a proper understanding of the study in question. Any bloggers listed at the Autism Hub should be avoided unless you are simply seeking an example of the anti-cure element of the neurodiversity cult and the extent to which it colors their commentaries. If you are seeking balanced, objective commentary about the HBOT study avoid the AH-ND bloggers and check out Autism Research Blog: Translating Autism by Nestor Lopez-Duran Ph.D.
"The authors found that hyperbaric treatment resulted in significant improvements in overall functioning, receptive language, social interaction, and eye contact. These findings were affected by the age of the child, in that children over the age of 5 showed more improvement to the treatment than children under 5. In addition, the treatment did not seem to work for children with an initial ADOS score above 50th percentile. This indicates that the treatment is most effective with children with more severe autism (ADOS score below the 50th percentile). In general, the study design was strong. The authors made great efforts to make sure that the two treatment conditions were nearly identical. That is, kids in the control condition were exposed to procedures that mimic the real hyperbaric treatment (being inside the chamber, etc). Thus, it is very unlikely that the results observed were due to a placebo effect. The study also moves in the right direction by presenting evidence for the efficacy of treatments that are usually considered controversial or untested. We need more research on alternative treatment interventions that will help us determine which interventions are actually effective." By contrast to the objective, informed "translation" by Lopez-Duran of the Rossignol HBOT study, Autism Hub and Neurodiversity commentators simply mock this and any other study which suggests that an autistic child might benefit from a specific treatment for autism. The reason for the knee jerk, lock step reaction of AH-ND members to studies of autism treatments is simple - they are anti-cure, anti-treatment. They do not want to be treated for their autism, or do not want THEIR loved ones with autism treated, and they do not believe that parents and other caregivers should be permitted to treat or cure autism in their own autistic loved ones or patients. Any study which purports to show the effectiveness of an autism treatment is anathema to them. (Hence the hostility by AH-ND bloggers towards ABA, parents seeking ABA for their own children, and ABA practicioners). For readers who may be interested in a skeptical perspective with regards to “mild” hyperbaric oxygen therapy for autism, I’ve assembled a short list of links. These are articles that I’ve enjoyed reading, found interesting, or written myself. HBOT: Is it just a bunch of hot air? Is there no end to unscientific treatments for autism? Autism, HBOT, and the new study by Rossignol et al. Does Rossignol et al. show HBOT’s effective? As a parent of a severely autistic boy of 13 I am not prepared, on the basis of this one study, and notwithstanding indications of positive gains by severely autistic children in the study, to seek HBOT treatment for my son. I would want to see further studies done by other researchers, and I am not arrogant enough to believe that I am properly educated or prepared to assess these studies myself. I will rely upon the information provided by informed, professional commentators like Lopez-Duran and credible, responsible agencies that review these studies. If further studies confirm the benefits suggested in the Rossignol study and if it is recommended by credible sources as an evidence based treatment then I would consult my son's pediatrician and consider HBOT treatment option for him. In the meantime though I will continue with ABA for my son which has helped him in so many ways and which has a solid evidentiary basis and overwhelming professional support for its safety and effectiveness. And I will give no weight to the Autism Hub and Neurodiversity commentators who are ideologically opposed to the development of effective treatments and cures for autism. Theirs is an ideological, not an evidence based, opposition to all possible autism treatments. UK Autism Rate 1 in 60? Did Those Darn Brits Broaden the Definition of Autism Again? Those darn Brits must have broadened the definition of autism again without telling anyone on this side of the Atlantic. Of course they could also be more than twice as aware of autism disorders as North Americans. Or perhaps the services available for autistic children in the UK are over twice as good as those available in North American backwaters. Yeah that must be it. My son's diagnosis in 1998 came 4 years after the changes in the DSM which broadened the concept of autism. Services were not generally available in most jurisdictions in Canada and the US until several years after that and are still pathetic in many areas. And still rates have increased dramatically. These factors undoubtedly explain significant increases in the rates of autism diagnoses. But frankly, I don't believe that the explanation trotted out every time there is a reported increase in autism rates, broadened definition, awareness etc. explain all of these startling increases. I have little doubt that if the rates were reported as having increased to 1 in 10 the same rationalizations would be trotted out. In the US the Interagency Autism Coordinating Committee has announced a strategic research plan that will include investigation of environmental causes of autism. Actual research to determine whether the toxic substances present in vaccines, toys, jewelry, air and water to name some possible sources will be conducted. It is about time. It is time for Dr. Fombonne to be thanked for his past services in calming people's fears. It is time for the autism epidemic to be seriously investigated by researchers who are not bound to the notion that increased awareness and development of services explain it all. It is time for the autism epidemic that parents have seen developing in our children be taken seriously. In Study Watch : Epidemiology of pervasive developmental disorders MJ, author of the Autism Jabberwocky Blog, comments on Canada's latest contribution to autism research from Dr. Eric Fombonne of the Department of Psychiatry, Montreal Children's Hospital of the McGill University Health Centre, Montreal. MJ feels that the study is largely a rehash of earlier attempts to deny the existence of real increases in autism. "The meaning of the increase in prevalence in recent decades is reviewed. There is evidence that the broadening of the concept, the expansion of diagnostic criteria, the development of services, and improved awareness of the condition have played a major role in explaining this increase, although it cannot be ruled out that other factors might have also contributed to that trend." There is no dispute that a substantial increase in cases of "autism" diagnoses arises from the expansion of diagnostic criteria and improved awareness although as an advocate in New Brunswick Canada who fought hard, with other parent advocates, to establish autism services here I am much more skeptical about any substantial connection between the availability of services argument. New Brunswick has made great strides in providing autism intervention to pre-school and school age children with autism disorders in the past 5 years and some other provinces have also made significant gains but there are large gaps across this country and in the United States with respect to provision of effective, autism specific services. I would really have to be convinced that availability of services has been a significant factor in contributing to the increase in autism diagnoses. Although most scientists believe that risk factors for ASD are both genetic and environmental, there is considerable debate about whether potential environmental causes, genetic precursors, or interactions between genes and environmental factors should be the highest priority for research aimed at identifying the causes of ASD. To date, few studies have ruled in or ruled out specific environmental factors. While there are reports of associations of ASD with exposure to medications or toxicants prenatally, and to infections after birth, it is still not known whether any specific factor is necessary or sufficient to cause ASD. Similar to other disease areas, advancing research on the potential role of environmental factors requires resources and the attraction of scientific expertise. Bringing this to bear on autism will help focus the environmental factors to study, as well as the best approach for staging studies to examine environmental factors, interaction between factors, and between individual susceptibility and various environmental factors. For example, some researchers believe that it is important to study a large number of exposures, or classes of exposure, that are known to affect brain development. Others support more tightly focused studies of one exposure or a limited number of exposures, with greatest biologic plausibility for interacting with known or suspected biologic or genetic ASD risk factors. In addition, it is also important to design studies that assess environmental exposure during the most relevant exposure windows: pregnancy and early development. In doing this research, it will be important for the field to develop sound standards for identifying and claiming that environmental factors contribute to ASD, as it would be for genetics. To address public concerns regarding a possible vaccine/ASD link, it will be important over the next year for the IACC to engage the National Vaccine Advisory Committee (NVAC) in mutually informative dialogues. The NVAC is a Federal advisory committee chartered to advise and make recommendations regarding the National Vaccine Program. Communication between the IACC and NVAC will permit each group to be informed by the expertise of the other, enhance coordination and foster more effective use of research resources on topics of mutual interest. Examples of such topics include: studies of the possible role of vaccines, vaccine components, and multiple vaccine administration in ASD causation and severity through a variety of approaches; and assessing the feasibility and design of an epidemiological study to determine whether health outcomes, including ASD, differ among populations with vaccinated, unvaccinated, and alternatively vaccinated groups. * Genomic variations in ASD and the symptom profiles associated with these variations. * Environmental influences in ASD and the symptom profiles associated with these influences. * Family studies of the broader autism phenotype that can inform and define the heritability of ASD. * Studies in simplex families that inform and define de novo gene differences and the role of the environment in inducing these differences. * Standardized methods for collecting and storing biospecimen resources from well-characterized people with ASD as well as a comparison group for use in biologic, environmental and genetic studies of ASD. * Case-control studies of unique subpopulations of people with ASD that identify novel risk factors. * Monitor the scientific literature regarding possible associations of vaccines and other environmental factors (e.g., ultrasound, pesticides, pollutants) with ASD to identify emerging opportunities for research and indicated studies. * Environmental and biological risk factors during pre- and early post-natal development in "at risk" samples. * Cross-disciplinary collaborative efforts to identify and analyze biological mechanisms that underlie the interplay of genetic and environmental factors relevant to the risk and development of ASD, including co-occurring conditions. * Convene ASD researchers on a regular basis to develop strategies and approaches for understanding gene - environment interactions. * Exposure assessment -- efficient and accurate measures of key exposures for use in population and clinic based studies and standards for sample collection, storage, and analysis of biological materials. * Initiate studies on at least five environmental factors identified in the recommendations from the 2007 IOM report "Autism and the Environment: Challenges and Opportunities for Research" as potential causes of ASD by 2010. IACC Recommended Budget: $23,600,000 over 2 years. * Coordinate and implement the inclusion of approximately 20,000 subjects for genome-wide association studies, as well as a sample of 1,200 for sequencing studies to examine more than 50 candidate genes by 2011. IACC Recommended Budget: $43,700,000 over 4 years. * Within the highest priority categories of exposures for ASD, identify and standardize at least three measures for identifying markers of environmental exposure in biospecimens by 2011. IACC Recommended Budget: $3,500,000 over 3 years. * Initiate efforts to expand existing large case-control and other studies to enhance capabilities for targeted gene - environment research by 2011. IACC Recommended Budget: $27,800,000 over 5 years. * Enhance existing case-control studies to enroll broad ethnically diverse populations affected by ASD by 2011. IACC Recommended Budget: $3,300,000 over 5 years. * Determine the effect of at least five environmental factors on the risk for subtypes of ASD in the pre- and early postnatal period of development by 2015. IACC Recommended Budget: $25,100,000 over 7 years. * Conduct a multi-site study of the subsequent pregnancies of 1,000 women with a child with ASD to assess the impact of environmental factors in a period most relevant to the progression of ASD by 2014. IACC Recommended Budget: $11,100,000 over 5 years. * Identify genetic risk factors in at least 50% of people with ASD by 2014. IACC Recommended Budget: $33,900,000 over 6 years. * Support ancillary studies within one or more large-scale, population-based surveillance and epidemiological studies, including U.S. populations, to collect nested, case-control data on environmental factors during preconception, and during prenatal and early postnatal development, as well as genetic data, that could be pooled (as needed), to analyze targets for potential gene/environment interactions by 2015. IACC Recommended Budget: $44,400,000 over 5 years." MJ at Jabberwocky sees the new paper by Dr. Fombonne as an attempt to deny the existence of a real increase in autism disorders. He may be right but I think the Fombonne paper is better viewed as a reflection of the state of autism research in Canada. It is essentially a small, Montreal, Quebec based, old boys club, with research funding decisions emanating from the Institute of Neurosciences, Mental Health and Addiction, one of the 13 virtual institutes of the Canadian Institutes of Health Research. The previous (term expired December 31, 2008) Scientific Director of the Institute of Neurosciences, Mental Health and Addiction was neuroscientist Dr. Rémi Quirion, a McGill University Professor and Scientific Director at the Douglas Hospital Research Centre (a McGill affiliated teaching hospital). Another of Canada's Montreal based leading autism researchers is Dr. Laurent Mottron. Dr. Mottron, along with his colleague Michelle Dawson, is an activist who has appeared before the Canadian Senate to argue against funding of ABA services for autistic children. The good Dr. Mottron also assisted Ms Dawson in her intervention before the Supreme Court of Canada in opposition to the families who were seeking confirmation of lower court decisions in Auton which directed the British Columbia government to fund ABA treatment for their children's autism disorders. Dr. Mottron is also a media darling in Canada, particularly at the publicly funded Canadian Broadcasting Corporation (CBC) where he has appeared on radio and television several times promoting a non-medical model of autism disorders.
" Ms. Dawson testified that autism is a neurological disability and that people generally do not have a good understanding of this reality. Ms. Dawson stated repeatedly that autism was not a mental illness. For her, a mental illness has an onset, various treatments, and there is a return to the previous state to a greater or lesser degree. Both Ms. Dawson and Dr. M., as will be seen,pointed out that the notion of curing autism was nonsensical. Still many people want to cure autism. At the beginning of his testimony, Dr. M., who is a psychiatrist, was qualified by the Tribunal as an expert in autism. Dr. M. filed a report as well as three letters pertaining to Ms.Dawson’s condition. Dr. M. testified on the nature of autism, autistic individuals as well as on Ms. Dawson’s condition. The credibility of Dr. M. as well as the accuracy of his statements and opinions was not challenged by the Respondent. The Tribunal finds Dr. M.’s testimony highly credible even if the evidence shows that in recent years, Ms. Dawson has worked with him and has co-authored scientific articles with Dr. M.
In Canada the sorry state of autism research is represented by Dr. Fombonne's rehashing of statistical arguments denying increases in autism and avoiding exploration of possible environmental causes or factors related to autism disorders. In Canada the sorry state of autism research is also represented by Dr. Mottron's activism in opposition to government funding of ABA interventions for autistic children, his quixotic multiple media appearances, particularly on CBC programs from Quirks and Quarks to Positively Autistic, his promotion of a non-medical model of autism disorders, numerous research papers involving persons with high functioning autism (maybe someday he will get around to publishing some papers on those troublesome lower functioning persons with autistic disorders) and his testimony that the notion of curing autism is nonsensical. Fortunately for autistic children and adults in Canada, and their families, real autism research is still being conducted in the United States where the search for causes of autism, and possible cures, is still alive and well. What did the Supreme Court of Canada decision in Auton mean? The decision was a stunning setback for autistic children and their families who were trying to help them receive treatment for their autism disorders. In practical terms it meant that parents seeking to compel governments to provide treatment for their children' s autism disorders would have to do so through political action. Canadian courts received a clear direction to show deference to the economic and policy decisions of governments with respect to disadvantaged groups like autistic children. No substantive right to treatment for autism was found to exist unless governments decided to provide the treatment. A complaint of discrimination could not be founded unless government had decided to provide the treatment and then did so in a discriminatory fashion. The decision of the Supreme Court of British Columbia in Auton v. A.G.B.C., 2001 BCSC 220 (CanLII), upheld on appeal by the British Columbia Court of Appeal, Auton (Guardian of) v. British Columbia (Attorney General), 2002 BCCA 538 (CanLII), had energized autism advocates across Canada. The fact findings and rulings by the Honourable Madam Justice Allan of the Supreme Court of British Columbia were, in my view, consistent with the spirit and intent of the equality provisions of the Charter of Rights and Freedoms that section of Canada's Constitution which is also intended to help fulfill in domestic law Canada's international human rights commitments. Her conclusions about the realities of autism spectrum disorders and the efficacy of Applied Behavior Analysis as a medical treatment have been borne out by the subsequent findings of other bodies, in particular the American Academy of Pediatrics, Management of Children with Autism Spectrum Disorders, 2007. Ultimately the Supreme Court of Canada reversed the decisions of Justice Allen and the British Columbia Court of Appeal and effectively quashed any legal recourse to compel Canadian governments to provide treatment to autistic children. The Auton decision is one of three cited in the Submission of the Charter Committee on Poverty Issues to the United Nations Committee on Economic, Social and Cultural Rights as part of the Committee's 2006 Review of Canada’s Fourth and Fifth Periodic Reports Under the ICESCR (International Covenant on Economic, Social and Cultural Rights). The CCPI argued that Canada has failed to ensure effective remedies to Covenant rights. Specifically Canada has chosen not to make the Covenant directly enforceable in its courts. In the Auton case, the Supreme Court dealt for the first time with the question of whether the right to equality under s.15 of the Charter imposes positive obligations to provide specialized treatment for autistic children. The parents of children with autism argued that that children with autism have unique needs and that a refusal by governments to meet those needs has a discriminatory consequence in terms of fundamental issues of dignity, security and human development. This was really the first case to explicitly challenge the Court to recognize that governments have an obligation to meet the unique needs of a clearly disadvantaged group. As such, it attracted ten governmental interveners – Canada and nine provinces, all of whom argued that the Court should not interfere with governments’ decisions on how to allocate scarce resources in healthcare, and that the right to equality should not be interpreted so broadly as to impose this kind of obligation on governments. The Supreme Court was considering, in Auton, really for the first time, the constitutionality of doing nothing to meet the needs of an extremely disadvantaged group in society. It appears to have affirmed, in shocking fashion, the government’s ‘right’ to do nothing. The Court made no reference to international human rights law, and made no effort to interpret the right to equality in a more substantive manner, consistent with this Committee’s General Comment No. 9. In every day language the Supreme Court of Canada in the Auton decision rendered the equality provisions of the Canadian Charter of Rights and Freedoms, and Canada's commitments under the International Covenant on Economic, Social and Cultural Rights meaningless. The analytic gymnastics performed by the Court amounted to saying that if a group is disadvantaged in a way that can not be readily compared to the treatment afforded a comparative group then it can not even begin to assert a claim pursuant to the equality provisions of the Canadian Charter of Rights and Freedoms. Unless governments grant or recognize a right to specific services by disadvantaged groups Canadian courts will be of no assistance in compelling governments to provide such services. To paraphrase the CCPI submission the Supreme Court of Canada, in the Auton decision, recognized the constitutionality of government's right to do nothing to help the disadvantaged - in that case autistic children. April is Autism Awareness Month in the United States and April 2nd is World Autism Awareness Day. While some want to believe that every genius or person of exceptional ability from Mozart to Van Gogh to Einstein was autistic there is no way such speculation can possibly be substantiated. Others focus on the accomplishments of modern day persons with autism like the amazing Dr. Temple Grandin. Such persons with autism should be celebrated and their accomplishments made known to the world. But autism awareness should not be limited to promoting the positive contributions of some persons with High Functioning Autism or Aspergers. The world should also be informed about people like the two young autistic men facing murder charges, one for the death of his mother, and the young man in Fredericton, New Brunswick who had to be removed from his parents' residence after his mother was injured during a violent outburst at his home. As an autism advocate here in New Brunswick, as a legal counsel who has done some work with persons with Aspergers and as a Blogger I have received information of similar stories involving families with autistic children in New Brunswick. I have visited first Centracare; and subsequently the Restigouche Regional Hospital Psychiatric unit in Campbellton and seen autistic persons living in institutional care. Thank you to Dr. Grandin ... and to Jason Oldford of Fredericton New Brunswick for being such a fine example of what some autistic persons can do. Jason is a personal friend and a long time autism and Aspergers advocate in New Brunswick who has addressed his challenges head on with public speaking activities at Toastmasters and at autism events. Several years ago on a St. Patrick's day meeting of autism parents and government representatives Jason attended on his own initiative and addressed all of us. He spoke eloquently, from the heart, about his own experiences and offered his insights about growing up with Aspergers. He did so in a way that was respectful of parents' responsibilities and that brought tears to the eyes of many parents in attendance. Jason's comments before the Senate Comittee studying autism treatment and financing in Canada were highlighted by the Committee in its report. As an Autism Society New Brunswick director who benefited from Jason's organizational skills and in depth knowledge of a number of important subjects I am well aware of the positive contributions that can be made by many persons with autism and Aspergers. There are many other outstanding accomplishments of persons with autism which appear every day on the internet including those of Alex Bain of PEI whose blog site Runman reports his running successes. But the harsher realities of autism should also be made known on autism awareness days wherever and whenever they are celebrated. We do no favors to the severely autistic by pretending they do not exist and by whitewashing from the public consciousness the harsher realities they face. On World Autism Awareness Day start by obeying every parent's prime directive to their children - tell the truth. Tell the truth about autism, the whole truth. I met Jim Young a couple of years ago, May 26, 2007 in Dartmouth, Nova Scotia, at the FEAT-BC Goes Coastal kick off of the national autism strategy campaign. Jim and I had a chance to talk briefly. He got straight to the point in discussing autism and the state of autism advocacy in Nova Scotia. In a guest column in the Halifax Chronicle Herald Jim once again delivers hard hitting autism reality without any sugar coated joy of autism nonsense. Jim offers the perspective of a father of an autistic child who fights hard to make life as good as he can for his child. He has done his homework on a number of contentious autism issues and he has been an active autism advocate. In this article Jim addresses many of the contentious autism issues that hinder the ability of parents to help their autistic children. He offers his views on autism cures and treatment favoring an evidence based professional treatment that stands out above all others at this time - Applied Behavior Analysis - ABA. The neurodiversity proponents do not represent the realities faced by the majority of families. My view is that they represent a real threat to the health of our children. Not only do they imply that it is fine to have autism but they urge us to "celebrate" our children’s disorder. Nonsense. Should we "celebrate" juvenile diabetes, leukemia, pediatric aids, fetal alcohol syndrome? I can testify that there is very little about autism to celebrate. I love both of my children and could not love my daughter, who is deeply affected, any more if she woke up tomorrow without autism. But I will continue to advocate and provide treatment opportunities for her forever, despite what these people say. Autism is a serious health issue requiring aggressive treatment. It is not a learning disorder, lifestyle choice or expression of individuality. The risks of claiming that it is, for the rest of us, are that it provides government just the excuse they need to withhold funding – the community is divided and the disorder is not an alarming epidemic. These people need to shut up. They do not represent the children with autism that I see. They represent themselves, which is fine, but no one else. Jim Young also takes the Nova Scotia government to task for its immoral, shabby treatment of autistic children. 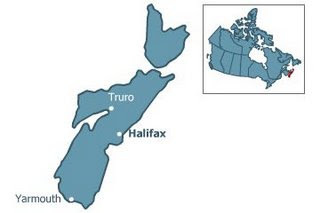 (Nova Scotia actually has a lottery system to determine which children receive autism treatment). Jim Young is a dad who has actually been fighting to help his autistic daughter and other autistic children in Nova Scotia. He has been fighting an uphill battle but he soldiers on. I encourage anyone interested in autism, particularly parents of children newly diagnosed with an autism disorder to read Jim's column in the Chronicle Herald. It offers a healthy dose of autism reality, straight up, with no joy of autism, neurodiversity nonsense, to divert you from helping your autistic child. In the Neurodiversity internet world of autism only feel good statements may be made about autism without attracting rancor. Even persons with autism who speak out against this absurd ideology are villified for speaking the truth about autism disorders. Those who adhere to the Neurodiversity ideology refuse to acknowledge any negative aspects particular to autism disorders which in their view are not really disorders at all. In the ND view violent behavior by persons with autism, unlike works of art, science or literature of autistic persons, has nothing to do with autism disorder. One of the more extreme instances of Neurodiversity denial is the recent comment by Kevin Leitch at Opposing Views - A Correlation Between Autism and Murder? In that article Mr Leitch provides distorted depictions of a comment about two recent murder cases involving autistics that I made on this site and that were made on the Age of Autism site. Mr Leitch clearly did not understand the point of my comment in that specific instance, or generally, about autism associated violence or he intentionally distorts those views. I have never suggested that there is a correlation between autism and murder. In my comment I pointed out that two autistic men were involved in murder charges. I also pointed out that competency hearings would likely be held. What I have stated on several occasions is that some autistic persons, including my severely autistic son, commit acts of violence. I have also stated that they do not necessarily do so with any intent to cause harm. "the authors looked at rates of criminality amongst those with a Pervasive Developmental Disability (subgrouped to ‘childhood autism’, atypical autism and AS) . In the childhood autism group (which corresponds to severe/kanners/etc) 0.9% had a conviction as adults. In the control group, the rate was 18.9%. For atypical autism the conviction rate was 8.1%. The control group was 14.7%. For AS, the rate was 18.4% and the control group was 19.6%. So, in each subgroup of PDD the authors looked at, the rate of criminal conviction was lower than controls. For the type of autism that Doherty and AoA are talking about less than 1% had a conviction compared to 18.9%. I think its clear that if this paper is accurate then we’re hardly going to be overrun with autistic killers." What is interesting is that for the most severely autistic, those with autistic disorder, which (unlike Aspergers Syndrome, "AS", can include people with intellectual or cognitive impairment) only 0.9% had a criminal conviction as adults. That statistic is entirely consistent with what I have always said. While autistic persons can commit acts of violence, including against themselves, they do not always have the intent or capacity to form the intent, to cause harm. Without such capacity to form legal intent criminal convictions would, and should be, extremely rare as the study cited by Mr. Leitch indicates. In the case of the two recent murder charges involving two severely autistic men I would not be surprised at all if the courts involved find that the young men involved lacked the capacity to form the intent to commit murder. I expect that they will probably be found not criminally responsible or legally competent to stand trial. Mr. Leitch would have the world believe that because criminal convictions do not ensue that violent acts committed are not associated with the persons autism disorders. He is wrong, simply wrong. I love my son dearly but sometimes he hurts himself by biting himself or banging his head on a wall. Sometimes he pulls his mother's hair or pinches his dad's face. I do not believe for a second that he is trying to cause harm, there is no intent, his behavior most definitely arises from his autistic disorder. The man was placed in a provincial residence on a part-time basis. He later became a permanent, full-time resident after the man's mother was injured during an outburst at his parents' home. After a couple of months, it was determined the man's needs exceeded the facility's capacity to care for him. In early 2002, he was placed in the Centracare psychiatric facility in Saint John. When Mr. Leitch says that instances like the two murder cases, or my son's minor physical outbursts, or the outburst of the autistic man in the Daily Gleaner article have nothing to do with their autistic disorders he is misleading the world about some of the negative realities of autism disorders. Whether he does so intentionally or out of unquestioning obedience to the Neurodiversity ideology which he espouses I do not know. I admit that I have never accused Mr. Leitch of having common sense, being knowledegeable about autism, or of being responsible, fair and accurate in his commentaries about autism. And after reading his latest bit of nonsense I will not now make such accusations against him. ANDREW, 7, appears to be a very normal child, but he struggles to participate and is lagging behind his peers. Douglas, 5, doesn't really know how to speak at all and communicates through a picture book and sign language. And Rory, 3, can't always find the right words to use and is confused about how to interact with others. The Filmers have to deal with their sons' range of communication skills, their sensory issues and public behavior challenges. They can rarely get out to dinner or a mall to go shopping with their three sons. The Filmers are facing autism reality in Queensland, Australia. Autism reality is not all about a few high functioning persons blogging on the internret, appearing before judicial and political tribunals or media cameras and claiming to speak on behalf of all"autistics". For some persons with actual Autisticm Disorders, and the families who love and care for them, the realities of autism are a very challenging part of daily, family life. 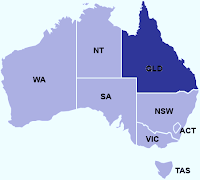 Whether that daily life takes place in New Brunswick, Canada or Queensland, Australia. The autism news out of Utah this week focused on a study that reported that 41 autistic participants out of 241 in a study had higher social outcomes and some had higher IQs. 20 years after they were assessed. Of course that left 200 out of 241 who were not "thriving". And the study, as often happens, excluded the most severely affected by autism, in this case autistic persons with non-verbal IQ's below 70. More than 80% of the autistic study participants were NOT thriving. And with the most severely affected by autism excluded it is really difficult to see this one as a glass that is half full. Looks more like the glass is almost empty. Autistic persons thriving in Utah? Not really. Facing Autism in New Brunswick can now be found at Alltop on the Alltop autism page. Much about autism remains a mystery, but a few facts are indisputable: of the 285,000 kids born in Australia this year, about one in 160 - not much short of 2000 of them - will be on the autism spectrum. And the number is rising significantly. Some will be so disabled, and needing constant care, that normal life for them, their parents and siblings will be out of the question. Others may suffer Asperger's Syndrome and be socially clumsy, but will lead independent lives. The centre runs early intervention programs for autistic children, intensive one-on-one sessions that help the kids work on simple tasks. "It's intensive work - puzzles, drawing building blocks, things tat other kids do naturally by observing each other, where as Brandon has to be taught, step by step. "I now feel like Brandon is part of my world. ``He not off doing his own little thing on his own little planet - he spends more time in our world, doing things with us. Learning For Life has changed our lives." Thumbs up to the Melbourne Herald Sun for honest reporting on some of the challenges presented by autism disorders and what can be done to address those challenges. Conor visited the Oromocto hospital yesterday to have filling work done on a dental cavity. The visit went very well. The pre-operative visit at another local hospital had been very difficult for Conor primarily because of a long delay between our arrival time and the time the examining physician was able to see him. In both visits though Conor was treated very well by staff. Yesterday the time between arrival and Conor's operation to put a filling in his teeth was only one hour ... and .... he received Ativan to calm him before receiving the anesthetic. On a previous unrelated surgery Conor had received anesthesia from a mask and had vomited several times afterwards. Yesterday he was calm enough that the anesthesiologist, with Dad beside Conor holding his arm, was able to provide the anesthetic by intravenous injection. She had explained that the IV method would result in less chance of vomiting during, and after, the operation. (Sorry, there are no pictures of Dr. Dad wearing surgical mask and clothes available). The anesthesiologist gave good advice. Conor recovered very nicely after the operation with no vomiting. The dental surgeon met us afterward to confirm that the procedure went very well. He also informed us that apart from the required work Conor's teeth are excellent. Conor does enjoy brushing his teeth and we have worked on getting the tooth brush over all surfaces several times from different angles. We are going to try and work more on flossing now but Conor has a great set of "chompers" as his smiling pictures on this blog often show. We drove home slowly to avoid any nausea inducing, sweeping turns and we pampered ourselves ... er ... Conor .... at home for the rest of the day. He was the King of Alder Avenue yesterday with Mom and Dad hovering over him attending to his every whim. We appreciate very much the excellent health care we have here in Fredericton, New Brunswick, Canada and yesteday was no exception.The day went well, very well, but it still provides another example of how autism can restrict the lives of those with autism disorders. For most people a filling requires a brief visit to the dentist's office for a localized anesthetic and little time out of their daily schedule. For Conor, and some other persons with Autistic Disorder, it would not be possible to work in his mouth with needles and other dental tools while he was conscious. It is a challenge just to have his regular dentist examine his mouth. Doing fillings or teeth cleanings while Conor is conscious is not going to happen. For Conor autism reality means that an ordinary filling requires a trip to a hospital for dental surgery under a general anesthetic. In the good autism news department the CBC has announced that it is freezing salaries of its executive. Some of these CBC decision makers would have been involved over the past few years in the relentless push to promote the nonsensical, mis-representative ideology and rhetoric of Neurodiversity icons Michelle Dawson and Dr. Laurent Mottron by providing them with repeat appearances on Quirks and Quarks (CBC Radio) and CBC television. The one sided, misleading, "Posautive" special was shown again this past week. The CBC web site also recently published an editorial by Stephen Strauss in which he misrepresented the current state of scientific knowledge on possible vaccine autism connections. Whether it be pushing the "we don't want a cure" views of the Neurodiversity camp as representing autistic children and adults, or pushing a false view of science, vaccines and autism , the CBC has pushed agendas of one side of very controversial issues without providing fair or any coverage of other views. In the case of autism the CBC now invariably ignores the views of parents seeking to help their autistic children through treatment and cure. And of course CBC journalists wouldn't think of leaving their offices to provide coverage of severely autistic persons who live in institutional care or otherwise won't or can't pose for media interviews. I have a son who is severely autistic. Autism issues are, and will always be, of primary importance to me. With the CBC demonstrating such extreme bias and journalistic incompetence I can no longer trust this publicly funded Canadian media institution on any issues. Freezing the salaries of CBC executives is a good start. Autism disorders are, despite the beliefs and agendas of the pro-Neurodiversity CBC decision makers, serious neurological disorders impairing the lives of 1 in 150 Canadians and their families. Actually dismantling the CBC, a one sided source of autism mis-representation, would be a great help to parents fighting to help their children overcome the challenges of autism spectrum disorders. There are very few, autism "experts" here who are not parents of children with autism. Yet we rarely hear from them. I am one of those experts. No one understands my boy's particular autism the way I do and no one can help him as much as me. Autism Northern Ireland is a brand new blog (since March 15 2009) which makes the interesting comment cited above in its first post. The blog does not provide any profile information about the blog owner but the initial comments indicate that the author is the parent of an autistic boy living in North Ireland that has been involved with autism organizations in Northern Ireland for several years and has not always found them very helpful. I agree with Autism Northern Ireland's first post. Autism disorders are defined and diagnosed behaviorally. No one knows our autistic son's behavior as well as his parents. We are autism experts, at least in respect of Conor. And that very special , particular expertise helps us see through some of the nonsensical generalizations about autism that are promoted on the internet and mainstream media alike. I look forward to reading further posts and comments at Autism Northern Ireland. MSNBC reports that a 12 year old Tennessee boy with autism and borderline mental retardation threatened suicide and then yesterday bit a teacher on the right thumb during the past week. He has been arrested and charged with assault. He is now receiving medical help at a psychiatric hospital. "Last Monday, I was notified that Dylan had threatened to kill himself and ran out the front door of the building and said he was going to get hit by a car .... Dylan should have been taken to a hospital for a medical and psychiatric evaluation for his suicide attempt, rather than charged with assault and taken to jail ..."I'm worried about him going to jail for a behavior that is a result of his disability." The unfortunate reality is that some autistic children and adults become violent.... because of their autism disorder. This reality is whitewashed by Neurodiversity ideologues who feel offended that any of the behaviors associated with autism might be seen as negative but it is a reality that can only be ignored with serious consequences for autistic children, family members and professional carers and educators. The serious challenges presented by some persons with autism disorders should be dealt with through treatment not whitewashed and ignored until it is too late. Ár nDúthchas! Conor ÓDochartaigh Wears Green Today! I will tell them I am born of Irish Princes who ruled in Donegal a thousand years ago; that I am descended from the High Kings of Ireland, and my name is from the Clann ÓDochartaigh! There are many spellings of the surname DOUGHERTY. Regardless of which one you use there are at least a dozen versions apart from with or without the 'O'. All of these, however, have their roots in the Finn River Valley, in Inishowen, in the beautiful county of Donegal. It is it is believed to be one of the oldest hereditary surnames, and translated from the Irish Gaelic it is commonly accepted to mean obstructive. There are some who claim that it means 'The People of the Oak Houses', but this is a rather recent development, and rejected by most Gaelic scholars with whom our editor has consulted. It is the most common name in Derry City and Co. Donegal, Ranking fifteenth in the list of 100 most common Irish surnames. The motto of our coat of arms is Ar nDuthchas (for my heritage). There is much evidence at hand show that this coat of arms can also be linked to the MacDevitt, McDaids, McDades and the Bradleys, to name a few. The O'Dochartaigh Clann originated in Inishowen and got their name from Dochartach, son and heir of Maongal, the grandson of Fianan, Lord of Inishowen, was the third son of Ceannfaola, prince of Tir Conaill, and the twelfth in lineal descent from Conall Gulban. As far back as we have been able to trace, our history begins with Niall of the nine hostages who was the High King of Ireland from 376 to 406. As his name denotes Niall took many hostages in his campaigns including a boy by the name of Patrick (who would later become Saint Patrick) in the year 403 AD. 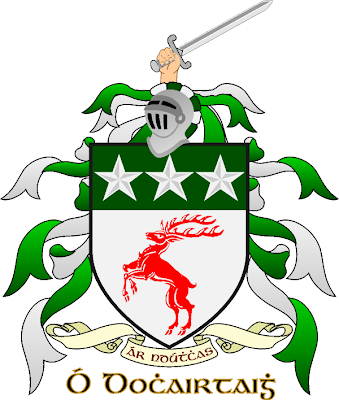 The family O'Dochartaigh is decended from one of Niall's sons; Conall Gulban. It was after Conall that the land of Tyr Conaill was named. Tyr Conaill is known today as County Donegal. County Donegal today almost exactly traces the boundries that outlined old Tyr Conaill. Starting during the year 1200 the clann held undisputed power over the Inishowen peninsula where they held over 300,000 acres and many castles, the ruins of which are still visible today. In the historic rebellion of 1608, Cahir O'Doherty aided by the Clann McDevitt captured the fort at Culmore, burned the city of Derry and killed the English Governor, Sir George Paulet. Cahir O'Doherty was slain at Doon Rock, Kilmacrenan, attempting to maintain his clann's territory. He was decapitated and his head was displayed on a pole outside Dublin Castle for centuries after. It is safe to assume that Cahir was the last of the Gaelic Irish chiefs. Cahir O'Doherty's sword is preserved at the Mayors Parlour at the Guildhall, Derry City. grandson of..). The Finn River Valley was pastorial land and this clann with it's growing numbers and greater strength, moved up into the rich Lagan Valley, slowly clearing and cropping this new land. The O'Cahan and their kindred the O'Neills opposed the O'Dochartaigh. One of the more important battles saw the death of a Clann Chief, Devitt, (1208). It was from the Devitt that the McDevitt & McDaid clanns sprung. Farther north, the Inishowen became a battle ground between the Cineal Owen, (McLaughlin vs. O'Neill). To shorten the story; upon the defeat of McLaughlin's, the O'Dochartaigh moved into the Inishowen peninsula (the 300,000 acres referred to earlier) becoming chiefs of that peninsula until 1608. There have been Doherty's living there before the 1200's. In the rich land at Culdaff and O'Dochartaigh's Island, (today known as Inch) some O'Dochartaigh stayed in the Finn River Valley, some went in other directions, such as: Genties, Kilmacrenen, Killybetgs and Ballyshannon. Their first power-base in the Inishowen was at Castleross at the mouth of the Shanagore River. Conor had 5 sons, thus the O'Dochartaigh Dynasty. Today, we have Don Ramon O'Dogherty as our rightful bloodline chief. He is a member of the Standing Council of Chiefs and Chieftains and is recognized by the Chief Herald of Ireland as the O'Dochartaigh of Inis Eoghain.